Find places to stay in Forest Park, GA and other fun things to do. View our list of attractions, activities, events, restaurants and visitor information. Currently as low as $55.99/night! The pet-friendly Econo Lodge Atlanta Airport East has comforts of home popular freebies like airport shuttle service Wi-Fi and parking. The 60 rooms at this two-story Econo Lodge feature microwaves refrigerators cable TV with HBO and Wi-Fi access. Free Internet, Pets Allowed, Non Smoking Rooms. Currently as low as $49.00/night! A convenient location near I-75 and the airport plus freebies like Wi-Fi and parking are big reasons to choose the Knights Inn Forest Park.Outdoor Pool, Free Breakfast, Pets Allowed, Non Smoking Rooms. Currently as low as $59.49/night! A free airport shuttle easy interstate access and a free continental breakfast attract guests to the Ramada Limited Suites Atlanta. This four-story hotel has 78 traditionally decorated rooms offering Wi-Fi access coffeemakers work desks and free USA Today newspapers. Free Internet,Outdoor Pool, Free Breakfast, Non Smoking Rooms. Currently as low as $47.69/night! 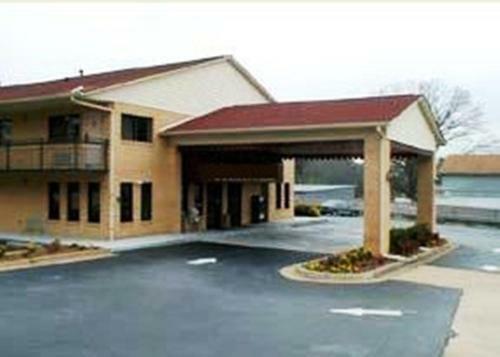 The Southside Inn Jonesboro is located off Interstate 74 just 15 minutes' drive from the Atlanta International Airport. Guests will enjoy free Wi-Fi and cable TV in all rooms of this hotel. Free Internet, Pets Allowed, Non Smoking Rooms. Currently as low as $71.99/night! Free breakfast and Wi-Fi plus well-appointed rooms with microwaves are a few of the welcome features at the Super 8 Forest Park. Free Wi-Fi cable TV mini-fridges microwaves and coffeemakers come standard in the 53 rooms of the two-story Super 8 Forest Park. Free Internet, Free Breakfast, Pets Allowed, Non Smoking Rooms. An outdoor pool and free Wi-Fi in well-appointed rooms are top features at the Travelodge Forest Park Atlanta South. The 37-room low-rise hotel has free Wi-Fi cable TVs refrigerators and microwaves in all rooms. Free Internet,Outdoor Pool, Free Breakfast, Pets Allowed, Non Smoking Rooms.